Warrior Custom Golf Inc., an Irvine, Calif.-based equipment manufacturer and upstart course management company best known for its infomercials hawking free “no strings attached” clubs and balls in exchange for reviews, is in some serious financial rough after filing for bankruptcy protection March 4. The recent Chapter 11 petition, filed in the Southern District of Texas under the name Westwind Manor Resort Association, Inc. (debtor’s name: Warrior Golf LLC), along with nine other Warrior Golf affiliates, comes 10 years after the club manufacturer ventured into course management and ownership in the wake of the 2008 financial crisis. Within just two years of entering the course operations business in ‘09, Warrior Golf founder and Warrior Acquisitions LLC managing member Brendan Flaherty assembled a handful of investors and quickly acquired six properties. At the time, Flaherty and Walter Bolen, Warrior Custom Golf’s director of investments, according to Bolen’s Linkedin account, targeted modest properties and value-conscious consumers. Now, Warrior Golf’s course portfolio is tripled in size with 18 courses at 15 facilities across the country, according to Warrior Custom Golf’s spokesperson Jennifer E. Mercer of claims agent Donlin Recano Strategic Communications. Most of Warrior Golf’s properties are in the East Coast with 11 of them scattered throughout the Sunbelt. 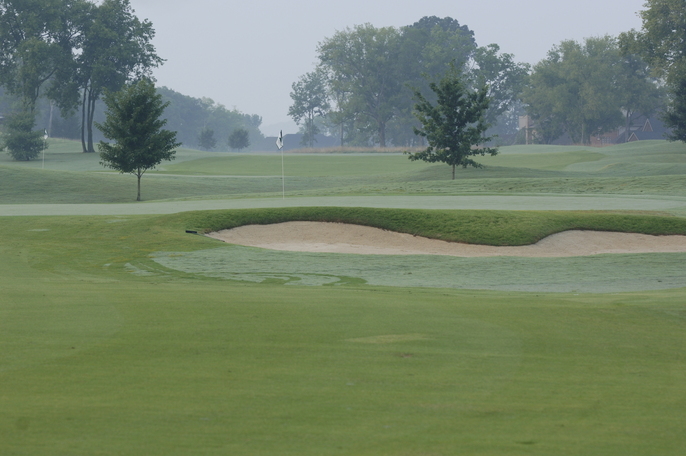 The majority of Warrior’s golf layouts – six in all – are situated in the Carolinas. Warrior noted the company has “ample liquidity to fund operations” and its $2.55 million debtor-in-possession financing has been approved, according to the Bloomberg story. The U.S. Bankruptcy Court also has authorized the payment of employee wages and benefits, payment to vendors and suppliers going forward in the ordinary course and the continuation of all customer programs, among other things, according to the company. So how did Warrior Golf find itself in this rough patch of finances? In a court declaration, Rosenthal cited bad weather and golf’s declining popularity as two reasons for the company’s financial hardship. The same “challenging environment” other golf industry participants have faced in recent years, a “lack of management depth and professional financial support” and debt obligations contributed to the filing, Rosenthal wrote in a court declaration filed earlier this month. What also spurred Warrior Golf’s bankruptcy filing was a $1.35 million Manatee County (Fla.) court ruling last December against the company, stemming from Warrior Custom Golf and affiliated employees allegedly misleading and soliciting more than $1 million in investments from an elderly man for almost a decade. These investments were for the purchase and construction of U.S. commercial golf courses, and Mellinger made an initial investment of $15,000 “on or about June 1, 2007,” according to the complaint. Over the next nine years, the complaint goes on to note, Warrior’s numerous LLCs solicited money on 23 different occasions, totaling $1,099,990 by the time it ended May 4, 2016. To make matters worse, Mellinger suffered a stroke which impaired his cognitive abilities in the summer of 2013, yet, “WCG and its subsidiaries continued to solicit money from Mellinger after he suffered his stroke,” according to the plaintiff’s court documents. As of Sept. 1, 2017, the investments were converted to promissory notes worth roughly $422,352. In mid-February, after filing an emergency motion to stay the execution of the $1.35 judgement, Warrior Custom Golf was granted the stay condition on posting a “good and sufficient bond in the total amount of $500,000 on or before March 4, 2019,” according to the court order. That very deadline day was when the defendants filed for protection under Chapter 11 of the U.S. Bankruptcy Code.